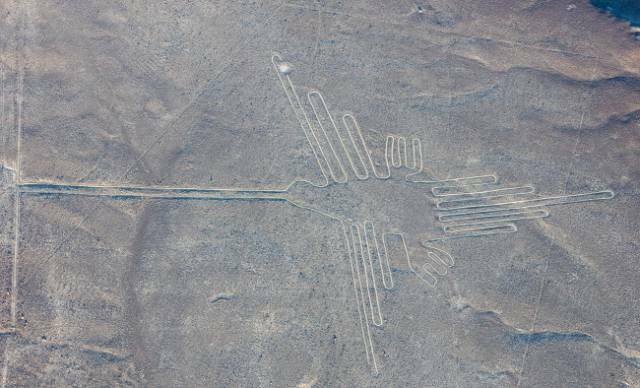 The Nazca Lines are geoglyphs located in an arid coastal area of Peru. They cover an estimated 170 square miles (450 square kilometers). Their purpose and origin remain a mystery. 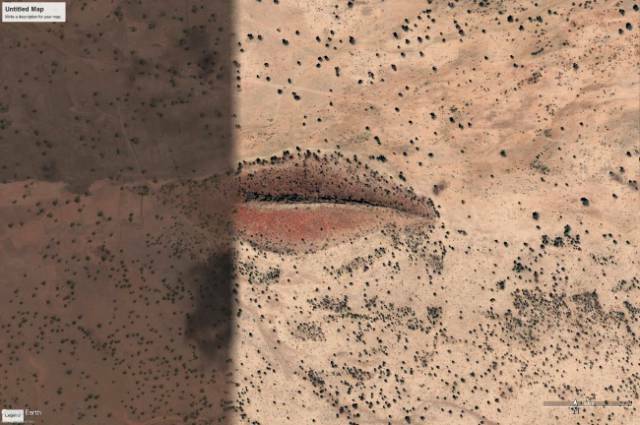 Formed by 2 rocky ridges, this half-mile-long hill in the Gharb region of Sudan’s West Darfur state bears more than a passing resemblance to a pair of luscious lips. The Davis Monthan Air Force Base in Tucson, Arizona, is where US military planes go to die. 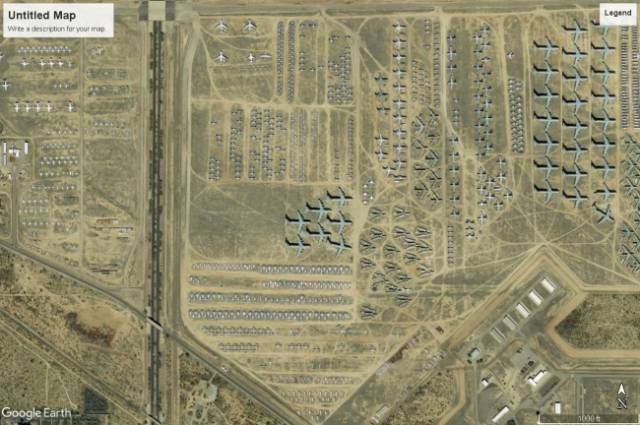 This base became a retirement home for over 4,400 US fighter planes. It’s closed to the general public, but Google Earth provides an image of what’s inside: virtually every plane the military has flown since World War II — from the B-52 Stratofortress to the F-14 Tomcat. 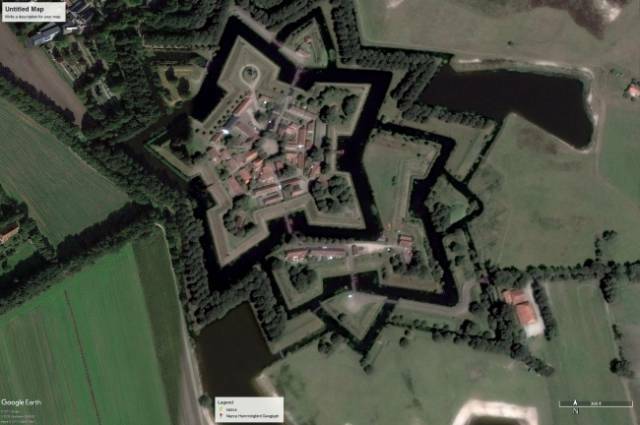 A star fort in the Netherlands was built in 1593 under the orders of William the Silent. Its original purpose was to control the only road between Germany and the city of Groningen, which was controlled by the Spaniards during the time of the Eighty Years’ War. 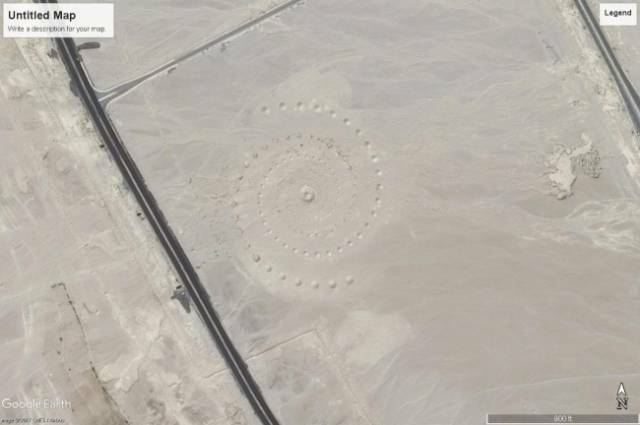 The Desert Breath, located in the Egyptian desert near Hurghada on the Red Sea coast, is a double-spiral work of land art. It was created by 3 artists in 1997, and it consists of 89 protruding cones of gradually increasing size set in a spiral and another 89 depressed (incised) cones set in spirals. The Badlands Guardian is a geomorphological feature located in Canada. 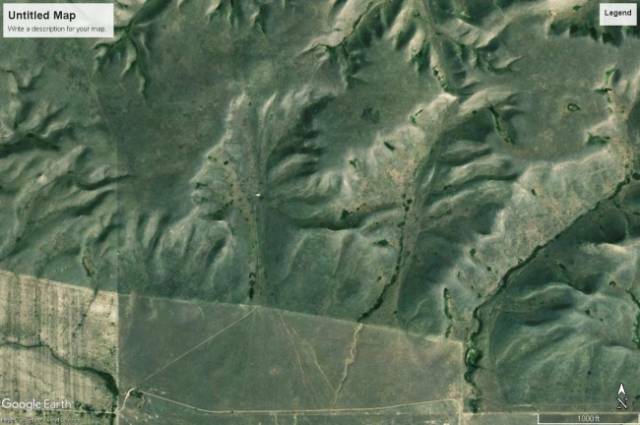 Viewed from the air, the feature bears a strong resemblance to a human head wearing a full Aboriginal Canadian headdress, facing directly westward. Because of additional man-made structures, it also appears to be wearing earphones. This is the largest hot spring in the United States. 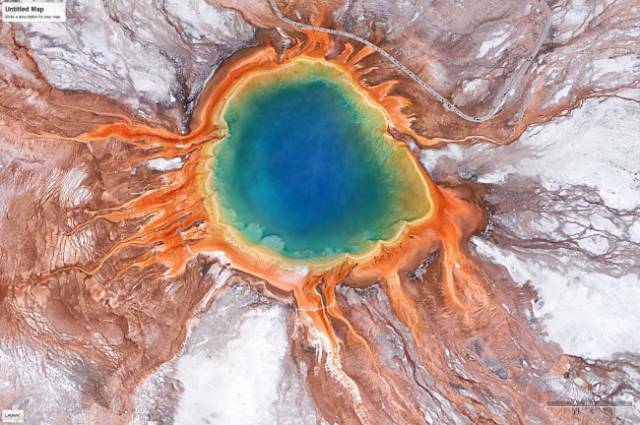 Grand Prismatic Spring was named for its striking coloration. Its colors match the rainbow dispersion of white light by an optical prism: red, orange, yellow, green, and blue. 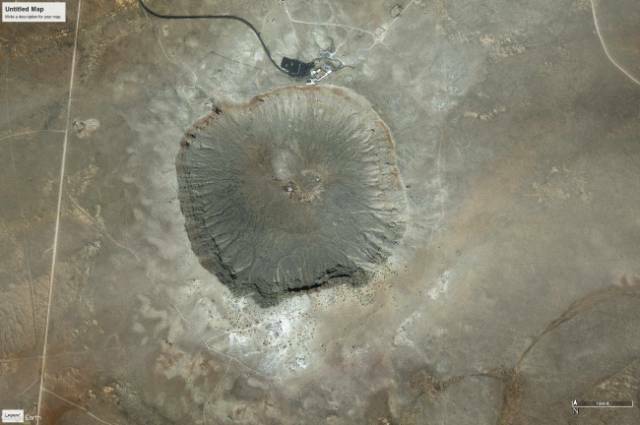 The crater in Arizona was created about 50,000 years ago during the Pleistocene epoch, when the local climate on the Colorado Plateau was much cooler and damper. During the 1960s and 1970s, NASA astronauts trained in the crater to prepare for the Apollo missions to the Moon. Most of the world reserves of potassium came from ancient oceans that once covered what is now land. After the water evaporated, the potassium salts crystallized into large beds of potash deposits. 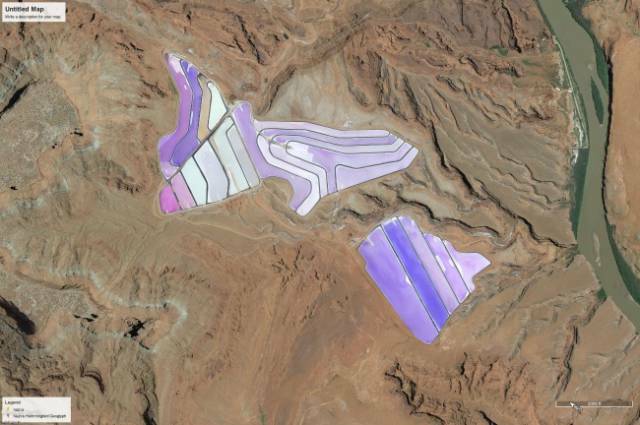 Over time, upheaval in the Earth’s crust buried these deposits under thousands of feet of earth, and they become potash ore. 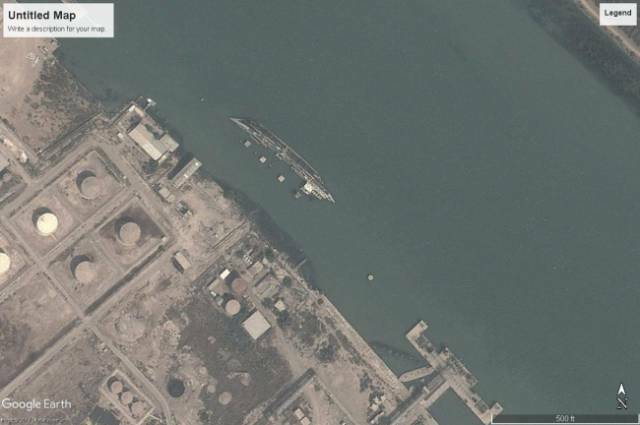 In Basra, Iraq, Google Earth captured the wrecks of several ships. Some are just lying there floating on their sides, while others are half-submerged and seemingly covered in rust. 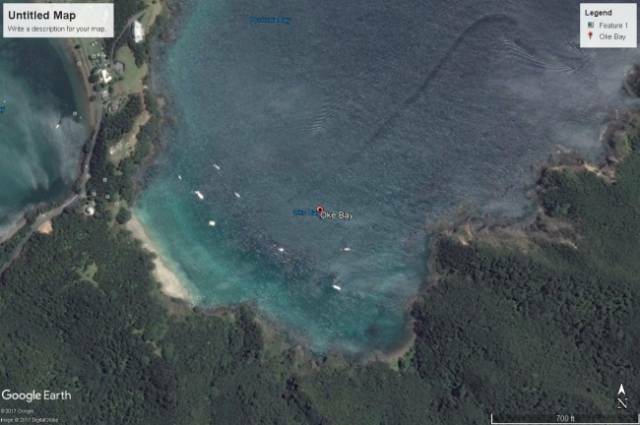 A strange form of sea life has been spotted on Google Earth to the northeast of New Zealand. It is a long dark strip resembling a giant snake between 2 curved lines of wakes. The mystery creature appears to be too fast for a whale and too large for a shark. Kangtega, known also as The Snow Saddle, is a major mountain peak of the Himalayas with a summit of 6,782 meters. 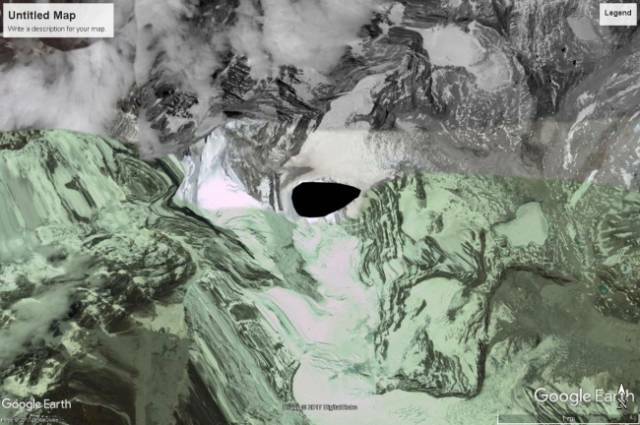 The black blob that hides it on Google Earth is a bit of a mystery. 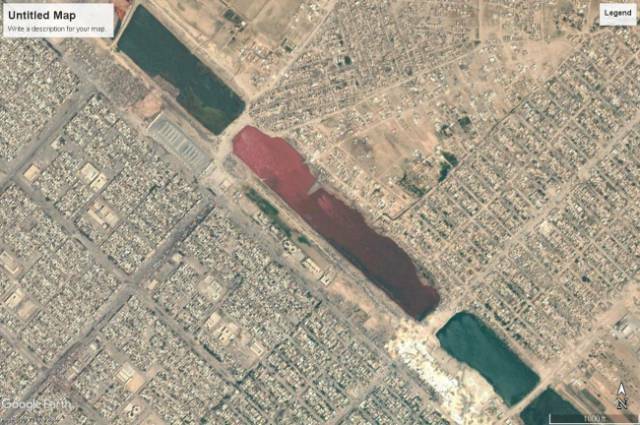 This blood-red lake outside Iraq’s Sadr City garnered a fair share of macabre speculation when it was noticed in 2007. 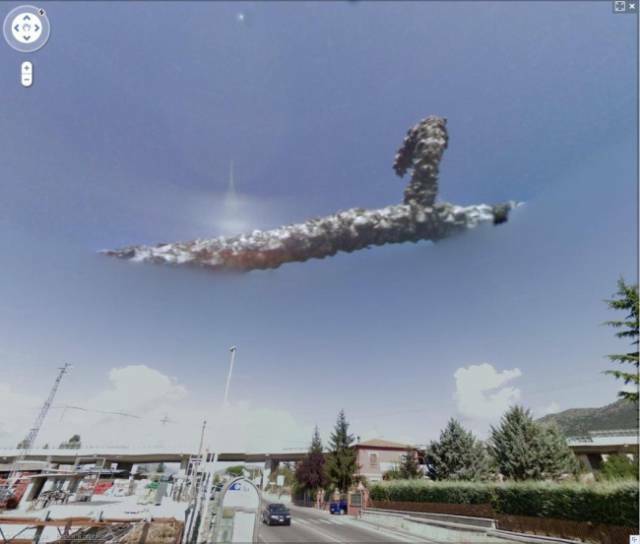 An unusual object was spotted above the highway in Italy. Maybe it is a cloud formation; maybe it’s an alien spacecraft. We will never find out.